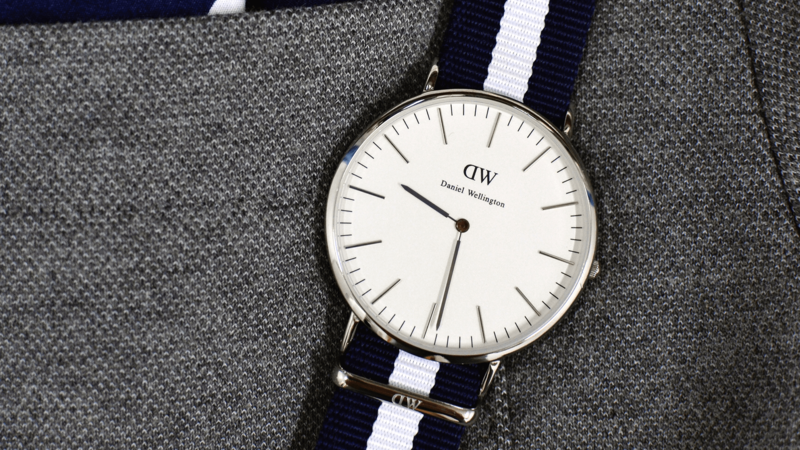 Watch 101: What (and Who) is Daniel Wellington? What is up, watchfam?! Today, we’re going to dive into fake Rolexes. Wait, no. That’s a different article – which you should definitely check out. Today, we’re going to take a look at one of the most infamous names in the world of modern watches: Daniel Wellington. Now, objectivity disclaimer: I’m personally not a big fan of the watches. If I’m entirely honest, the super minimalist design just does nothing for me, but to each their own. That being said, we’re not here to talk about what I like, so let’s get into it. DW was, interestingly enough, not actually founded by a guy named Dan. In fact, the real Daniel Wellington was/is (I’m assuming he’s still kicking) a British guy that the brand’s actual founder, Filip Tysander, met while traversing the globe. The thing about the real-life DW that stood out to Filip was that he wore his vintage watches on beat-to-hell NATO straps, an aesthetic that is seen often with the brand’s releases. This gave Filip the inspiration for the design of the watches, and the rest, as they say, is history. The watches themselves are designed with that incredibly clean, almost too minimal aesthetic at the forefront, featuring next to no text on the dial, simple hands and indices, and a whole lot of negative space that is really polarizing for those used to seeing something like a Submariner dial having more text than this blog post on it. Most come on either a smooth leather strap or, more commonly, on a NATO (the red, white, and blue variant seems to be the most popular). All of them are quartz movements, and all of the pieces are priced between $200 and $300 USD. This is where people begin to take issue with the brand, and truthfully, where a good chunk of my resentment comes into play as well. Having worn one of these things around a mall once (thanks to my buddy’s total horological ignorance), I can safely say that at maybe max $100, this would be a decent enough watch. I think you get a bit more for your money with, say, a Timex Weekender or an Orient Bambino, and if Orient can deliver an in-house mechanical automatic movement in a decent enough case and strap combination with some serious design consideration for the price of the least expensive men’s DW, then clearly someone over at DW isn’t doing their homework. And yet, somehow, these things sell like hot cakes. And, as Christian talks about here, a lot of that comes down to marketing and their ability to not be the best watch for the money, but rather the first one you see. It’s the epitome of opportunistic, impulse shopping that lands most people with a DW on their wrist, and whether that’s a sin or a gift is entirely based on your perspective. Whatever that perspective may be, thank you so much for checking out this article, and be sure to keep your eyes peeled for even more of our articles coming in the future, as well as those buried deep in the archives (okay, not that deep, but you get the point). And, as always, keep it classy, watchfam. Want dibs on new (vintage) watches? Sign up for T&H alerts.